While the Government is happy to bail the banks out to the tune of £1.5 trillion, it has imposed £18 million cuts on the hospital, which is literally the lifeblood of the community. The board are slashing vital jobs and services while at the same time paying city consultants Ernst & Young £426,000 to carry out an audit of the hospital and a further £500,000 consultancy fees to a former car parts company, Unipart. We will continue street stalls, every Saturday in Holloway and Archway, before attending the next board meeting of The Whittington Hospital on the 4 June, when the public are invited to question the board on ‘matters of concern’, from 2-5pm at the Whittington Education Centre. The ‘Defend The Whittington Hospital Coalition’ has regular organising meetings and has organised large marches and demonstrations. which RCG North London has supported. Visit the DWHC website at: http://dwhc.org.uk. The next Whittington Hospital board meeting will take place on the 4 June and is an opportunity for the public to engage with the hospital’s new chief executive, Simon Pleydell. 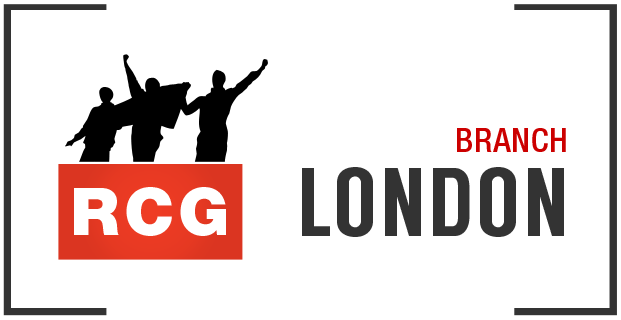 The RCG is encouraging as many people to attend as possible and have their say at the meeting, which will take place from 2-5pm at the Whittington Education Centre (WEC), Magdala Avenue, N19 5NF.